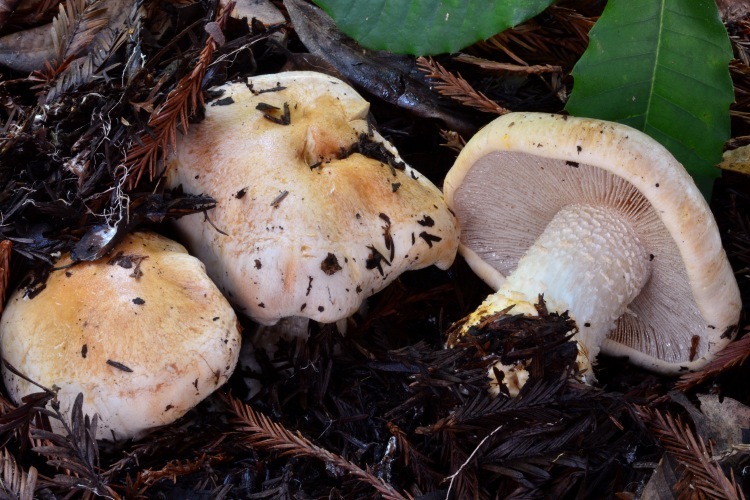 Approximately 7 species in Santa Cruz County. 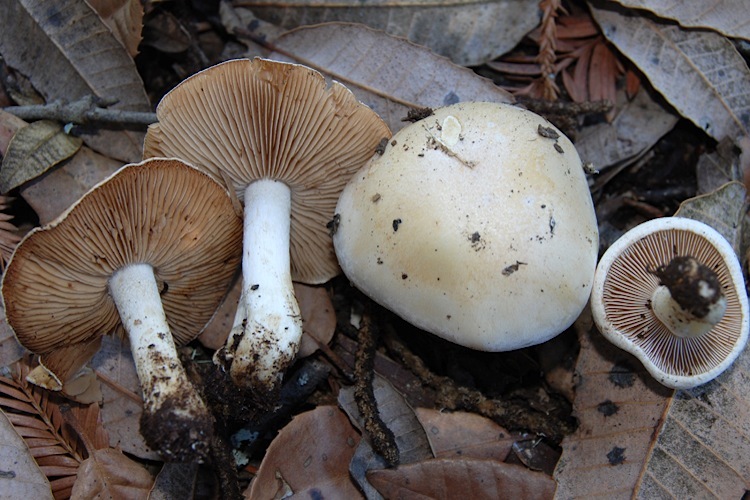 Hebeloma are recognizable with some experience with similar genera including Cortinarius and Inocybe. 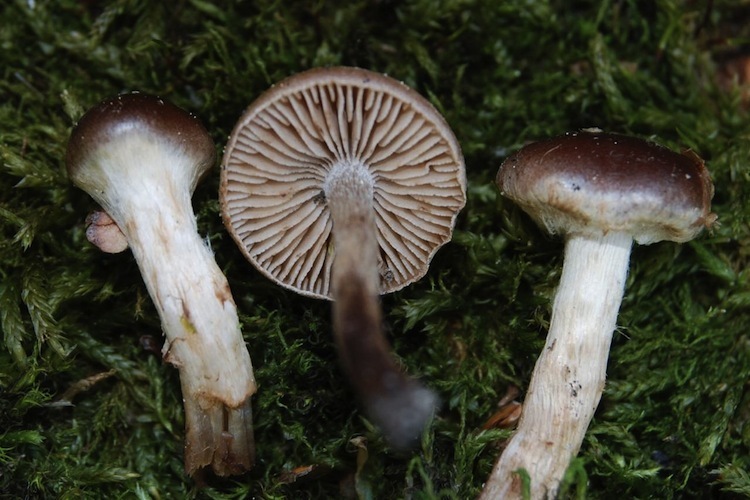 The dull brown spore deposit and terrestrial habit separate them from Cortinarius and Gymnopilus, and the smooth, often slightly viscid caps and more robust stature distinguishes the fruitbodies from those of Inocybe. 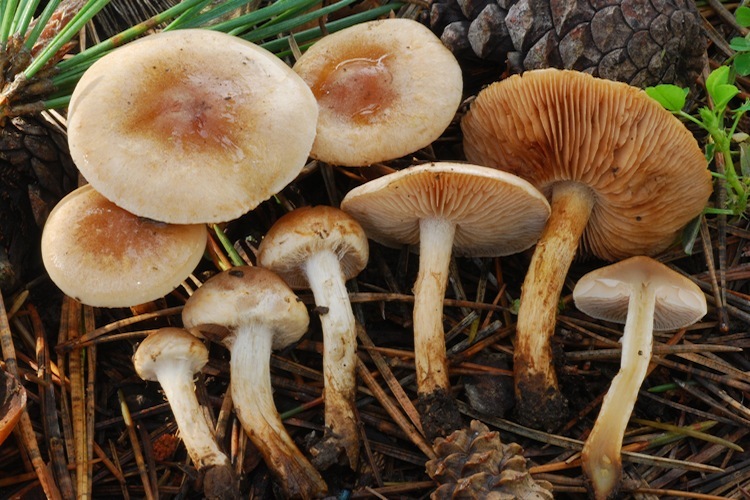 All are ectomycorrhizal, occurring with conifers and hardwoods, primarily in forest settings but also in urban areas if appropriate mycorrhizal hosts are present. Most species in our area are thought to be poisonous, but a few are eaten in other parts of the world (Mexico at least). Although not exceptionally diverse in our area, species identification is clouded by nomenclatural problems and lack of detailed research. The fruitbodies are drab and rather variable, but with some experience the various taxa are recognizable. 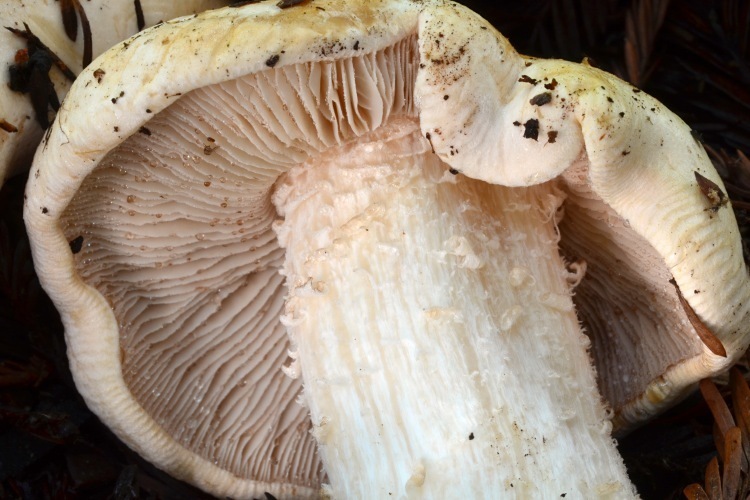 Important identification characters include stature, subtleties of coloration, texture of the cap and stipe surface, odor, and spore size and ornamentation.